As a small business it’s common for IT to fall by the wayside. After all, you have a million other things to manage from payroll to nurturing customer relationships. The thing is, IT includes services that are crucial to sustainable growth and the security of your online systems. These services include backup management, cloud solutions, virus protection, website performance, and more. 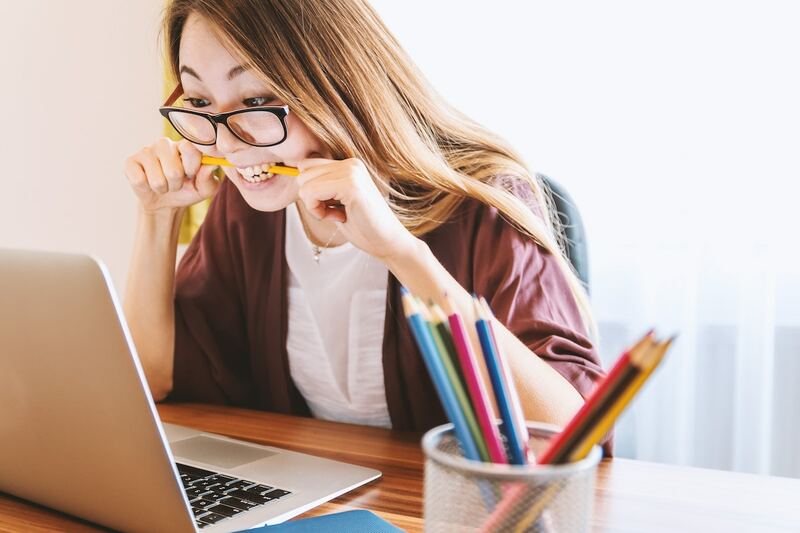 Stay competitive and protect yourself against cyber security threats and natural disasters by avoiding these 7 common IT mistakes. Depending on your business, you should be backing up your data on at least a daily, if not hourly, basis. When you haven’t experienced a major data loss it can become easy to get complacent and assume it will never happen to you. Power surges and security breaches are relatively common, however, so it’s critical that you’re backing up your data to an external source. Determining how often you should run a backup depends on how often you’re uploading new data. If the data is compromised, you want to have a backup available with the most recent changes. For more information on setting up backup IT protection for your business, check out what we offer in Backup Disaster Recovery services. Your computer systems and servers need more than just a power strip to protect them from power surges, outages, or brownouts. Investing in high quality battery backups with surge protectors will save you time and money by preventing damage to your files, data, and hardware. Once you have the proper setup in place, set reminders to replace the batteries or the entire unit as needed to ensure you’re always protected. We know how tempting it is to use the same password, or some version of it, across accounts. It’s fast and convenient to only have to memorize one password but you’re also making it fast and convenient for someone to gain access to all your data in one fell swoop. Fortunately, password managers allow you to securely store a unique password for each account in an easily accessible vault in the cloud. You can even use the manager to create random passwords for you, further strengthening your online security. We recommend LastPass for most small businesses. Yes, we know it’s annoying to close out of all your tabs, quit all your applications, and then wait for what seems like an eternity for your computer to restart. What’s even more annoying, however, is to lose all your data and shut your doors while you try to recover enough to do business as usual. Regular software updates help ensure that your devices have all the latest security patches so that if a data breach or ransomware attack occurs, your machine isn’t vulnerable. A simple software update can mean the difference between continuing to serve your clients and losing business, so download those updates, and go grab a coffee while your computer restarts. Phishing and spear phishing scams are two types of cyber attacks that use fraudulent emails to access personal data. An example of a phishing attack could be an email sent from HR that includes request for your social security number. The email will often include a link that redirects you to a malicious website, giving the hacker access to your device. Almost all of us have been the target of one of these attacks, but fortunately, if you know how to spot them, you can avoid them. To learn how to avoid falling prey to these scams, check out this article: The Difference Between Phishing and Spear Phishing and How to Protect Yourself. It’s also important to ensure your entire team, across all departments, knows how to spot a phishing attack. We recommend a training system called KnowBe4 that provides ongoing education and testing to ensure everyone is doing their part to protect company data. Read more about KnowBe4 in this post. Most small business owners have no intention of using illegal software, but they still use it nonetheless. This is often because software is expensive, so when a friend offers to share a free copy of Microsoft Office or InDesign or the password to their accounts, it’s hard to refuse. Using software obtained through unofficial channels, however, is illegal and can result in hefty fines. It also makes it difficult to report a bug or any issue with your software to the manufacturer. In the long run, it’s worth it to invest in software, applications, and programs that are all licensed under your business’s name. Managing your own data backups, cloud storage, power supplies, software updates, and disaster recovery plan is a lot to add onto your existing responsibilities. It’s also probably not your area of expertise so it’s challenging, if not impossible, to fully optimize your workflow and security systems. When you choose to manage your own IT inhouse, what often happens is corners get cut and your system becomes vulnerable. By hiring an outside team to handle all your IT needs, you’re able to focus on the core goals of your business while your technology systems run smoothly in the background. If your small business avoids these 7 IT mistakes, you can help ensure that your systems are secure and running as smoothly as possible. Get in touch to learn how our complete IT services can best serve your business.